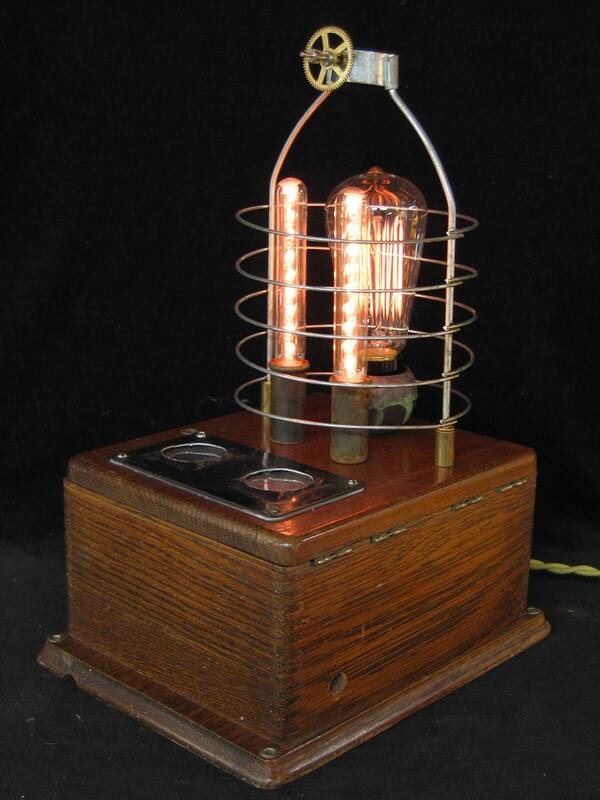 This is my Steampunk lamp Diabolical Box #16. It sits on a vintage telelphone ringer box. The cage is from a vintage heat lamp. What does not show in the pictures is the two glass windows in front behind which are colored glass shards lit by a flicker bulb. Bulbs are included. Base: 8 1/2” X 10 1/2"
Bulbs: two 15 watt candelabra exit bulbs, one 15-Watt squirrel cage antique repro bulb and a 5-watt flicker bulb.